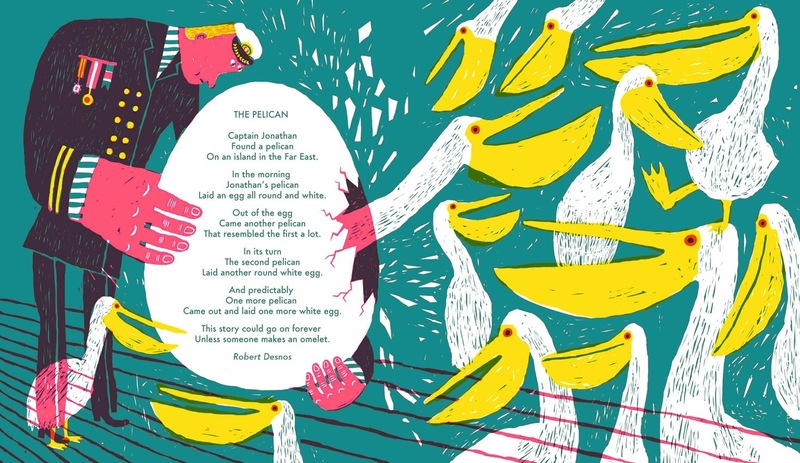 Summary: 16 poems about animals are presented, illustrated with vividly colored prints. Some poets, such as Lewis Carroll and Ogden Nash, will be familiar to many readers, while others, such as Arthur Waugh and Carolyn Wells, are less well-known. Some of the pages unfold to reveal even larger illustrations. 48 pages; grades K-4. 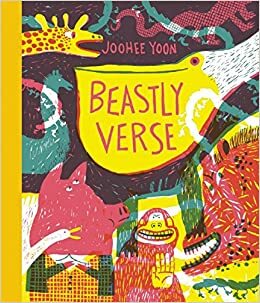 Pros: The large square design and brightly colored, busy illustrations will provide an enticing introduction to poetry for young readers. Cons: I always enjoy an author’s note explaining the selection of poems, and maybe a description of how the art was produced to complement them. Other than acknowledgements, there was none of this sort of information.